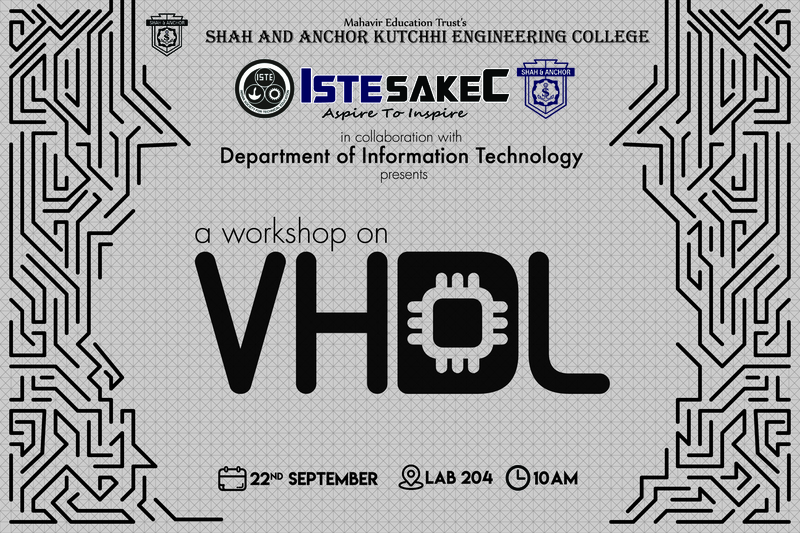 ISTE SAKEC in collaboration with Department of Information Technology is organizing a hands-on workshop on “VHDL”. VHDL is becoming increasingly popular programing language that has been designed and optimized for describing the behavior of digital circuits and systems. This workshop will introduce the participants to VHDL and tools that are used in VHDL. ▪Simulation & Implementation on FPGA. Date & Time of Event 22nd September 2018, 10:00 Am Onwards.